From the back cover: In this, his first album for Capitol, Jackie's splendid sounds are recorded in High Fidelity. 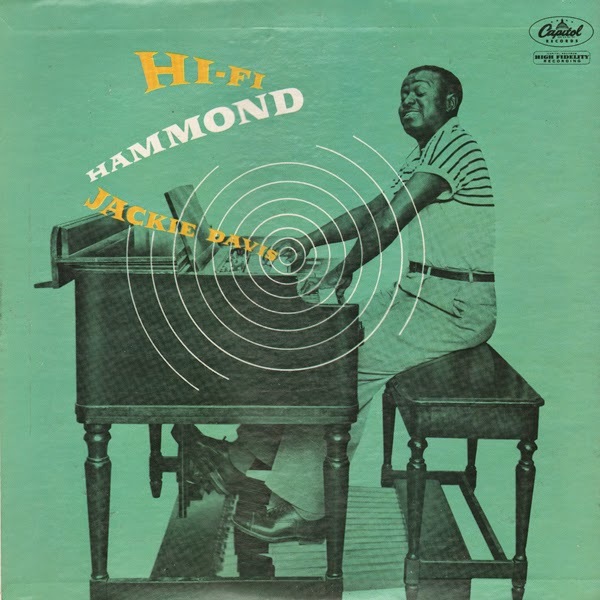 Complementing Jackie and his organ are the substantial rhythmic contributions of Ernest L (Fats) Clark on drums and the guitar etchings of Irving Ashby. Fiesta Record - Broadway, N.Y., N.Y. Exciting? Well, yes the cover art is pretty fabulous and the set, a finely crafted pop mood collection that is penned mostly by Cates and features just enough "space age" energy to make for an engaging play through. From the back cover: The man who brought you these 12 tunes together under this LP roof is the West Coast Music Director for Coral Records. Like many West Coast residents, he was originally an Easterner. George was born, raised and given his first music to read in the Bronx, New York. At the age of five, when other kids were concerned with popsicles, George was tucking his first violin under his chin. George soon switched from strings to reeds, and studied clarinet, flute, and saxophone. He entered New York University with every intention of becoming a law student, but soon found the call of the cleft more inspiring than the intricacies of the legal profession (and don't think that there isn't a pun in here somewhere about passing the bar). George did some writing and conducting for Olsen and Johnson, then went with Henry Busse's band for three years as arranger-sax man. Later, he became a free-lance, and arranged for artists such as Kenny Baker, Bing Crosby, the Andrew Sisters, and many more. 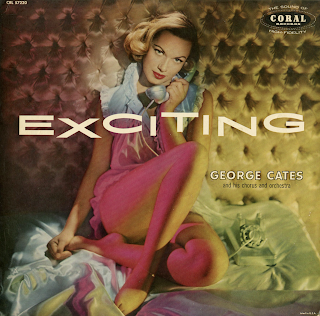 He joined Coral Records in 1950, and has backed many Coral artists. His duties these days also include working as musical director of the Lawrence Welk TV Show, and producing albums like this one, and Under European Skies (CRL 57126), and Movie Moods (CRL 57125). From the back cover: The basis of his (Rene) thorough musicianship was laid in his student days in Berlin during and just after the First World War. He received a typically thorough German classical musical education, which has stood him in very good stead in his career. Immediately after finishing his education he returned to this country (New York is his birthplace) and got a short-lived job as part of a two-piano team. His first paying job was as banjo player in Charlie Strickland's Orchestra. Before branching out with his own orchestra at the age of twenty, he played with other with other orchestras and toured in vaudeville – experiences that made him thoroughly familiar with American pop music. In 1926 he returned to Europe and toured with his own orchestra before settling in Berlin as star arranger with Electrola, then RCA Victor's German Affiliate. Later, as music director of UFA (Germany's biggest movie company) and Tobis Motion Picture Studios, he wrote and arranged scores for movies. After ten years in Europe he came home and, a year later, became musical director or RCA Victor's International Division – a post for which his European experience fitted him perfectly. 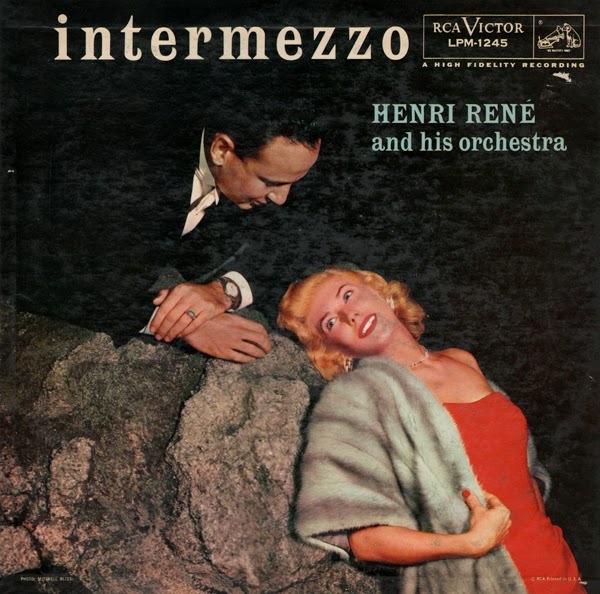 After 1941, when European sources of recordings dried up, Rene formed his Musette Orchestra and started turning out records that had the true Continental flavor. During the war he served as instructor for soldier shows in the Special Services Group of the Fourth Service Command; after 1945, he returned to RCA Victor recording stars. 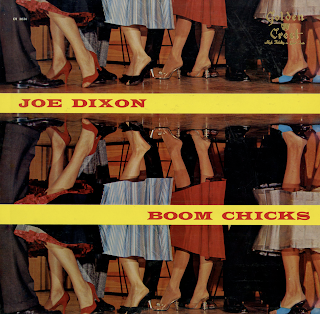 From the back cover: The man who is the moving spirit behind these great songs is Joe Dixon who will be remembered by a lot of people who loved the Tommy Dorsey group when it made the memorable recordings of "Marie" and "Song Of India". Joe was a vital part of the Dorsey organization at that time. However, Dorsey was not the only bandleader who considered him one of the most proficient clarinetists in the business. Prior to TD he played with the great Adrian Rollini group that once held forth in the Tap Room of the President Hotel in New York. Because of the high quality of the music played by that swinging outfit, the President was a favored hang-out for other musicians. One of these was the Sentimental Gentleman of the Trombone himself. Dorsey heard Dixon and lured him into his band. However, while in Hollywood on tour Dixon was offered an even better job with Gus Arnheim and joined that group on the West Coast. From Arnheim he went on to play with what many considered the hottest band in the business at that time – Bunny Berrigan. In the Berrigan band were some of the truly big names in jazz – Ray Conniff, Joe Bushkin, George Auld and the incredible little drummer man, the late Dave Tough. 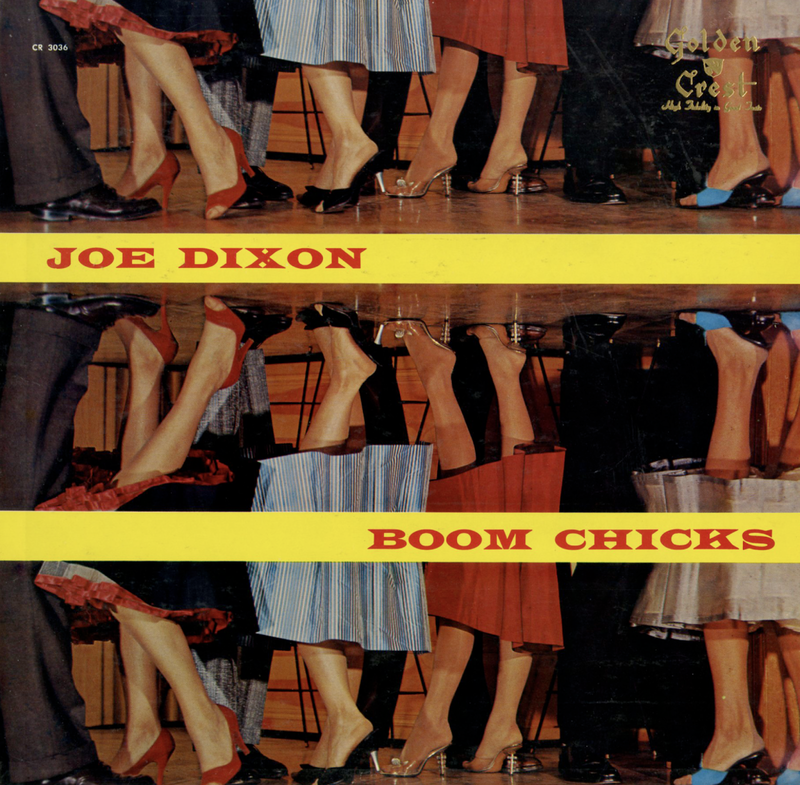 Yet with all that experience in music behind him, Joe Dixion was a mere 20 years of age! Oh, yes, we forgot to say that everyone who knew Joe back in Lynn, Massachusetts, where he was born in 1918, considered him a child prodigy. He was blowing great clarinet at the age of 12. In 1938, after a great series of dates with Berrigan, Joe Dixon left to join the secure ranks of the Fred Waring organization with whom he stayed for five years. In 1943 he joined the Navy and was assigned to leadership of an 18 piece radio orchestra at the Sampson Naval Base. After the war he played for a time with Eddie Condon and countless programs over CBS and ABC. The endorsements of Joe Dixon fine clarinet style come from a wide variety of professional opinion. Metronome refers to him as one of the most outstanding of clarinetists. And so does Nick Kenny of the Mirror and Robert Sylvester of the News. 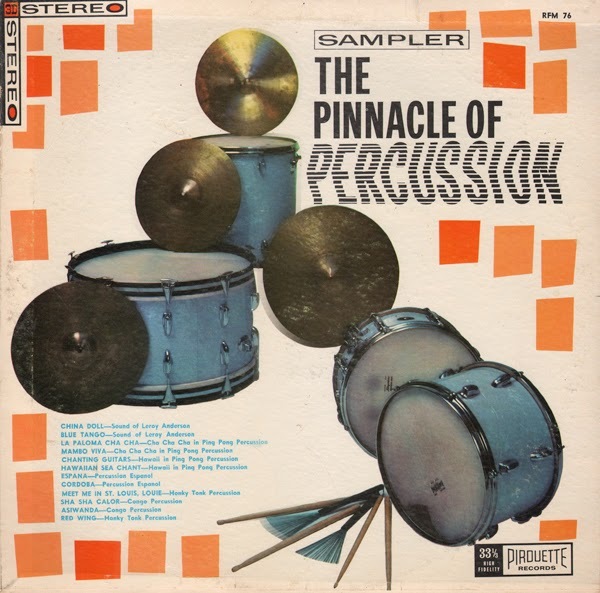 Maybe not the "pinnacle"… but for a budget label sampler (who knows where Pirouette dug up these tracks or when the "ping-pong" percussion was added)…the set features a number of obscure and enjoyable tunes.